NHL News : Prized prospect primed for huge responsibilities this season! Prized prospect primed for huge responsibilities this season! He’s earned his coach’s praises. The New Jersey Devils’ abysmal 2016-’17 campaign was one to forget – but it wasn’t without some consolation. 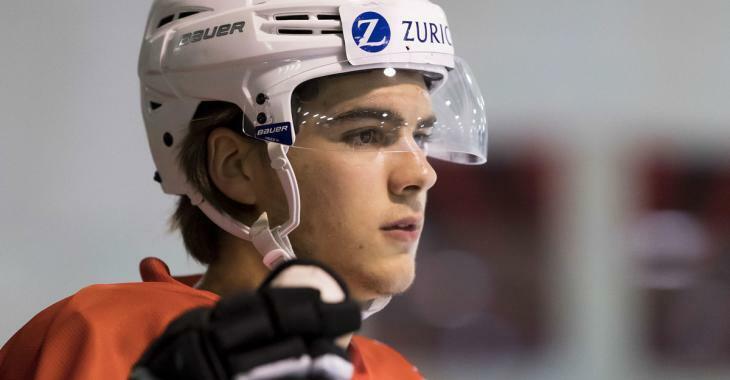 The Devils, with some lottery luck, selected Nico Hischier with their 1st overall selection at the NHL Entry Draft, and the prospect appears poised to take on an important role with his new team. The coveted prospect posted an impressive 4 goals and 3 assists in 4 preseason games for New Jersey. The Devils won all 4 games in which he dressed. His 7 points are good for 3rd in the NHL preseason “scoring race”. The young center posted an impressive 86 points in 57 games for the Halifax Moosheads in the QMJHL last season, and hopes to translate that success at the NHL level.